Corrective exercise is a holistic, all-encompassing approach to healing body ailments. Rather than just treating symptoms, this method aims to bring the body back into a state of perfect functioning. In today’s stressful society, it’s not uncommon for people to experience chronic pain, often caused by everyday activities like repetitive motion, poor posture, lack of exercise or injury. Over time, the body’s musculature starts holding patterns of motion, often resulting in limited range of movement, poor balance, continued discomfort and general dysfunction. 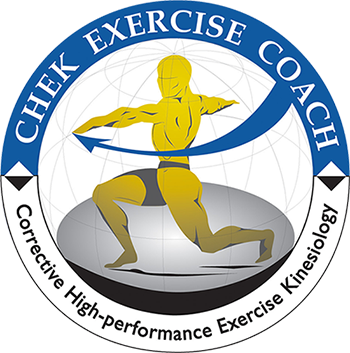 Corrective exercise is a form of therapeutic exercise, seeking to correct postural and other imbalances in the body by addressing the entire body, and habits, on a global level. Corrective exercise techniques aim to correct any asymmetrical patterns that have shaped the body over time in order to bring your health and bio-mechanics up to an optimal level and state of functioning. Creating imbalance in the body can be as easy as sitting at a desk for eight hours a day, only using certain motions, for years at a time. Habits like these naturally make some muscles strong while leaving others weak. By taking a firm look at everyday habits, a corrective exercise specialist will be able to design a program to strengthen weak areas, stretch short and tight areas, re-educate faulty movement patterns and encourage your body to work in harmony. Corrective exercise seeks to remove negative stresses so the body can be pain-free and high-functioning. For healing serious injuries, corrective exercise does not just address the problem area, but also any connected areas that may aid in recovery. Proper and functional posture is key! Corrective exercise can help you live more fully, more vibrantly, more pain-free and with more energy for daily life. Particularly for those with chronic pain or long-lasting injuries, corrective exercise does not just prescribe a short-term solution; rather, the aim is to bring you back into full functioning by working with your body, not against it. If you’ve tried everything else and still can’t heal the way you want, corrective exercise could be the missing link. Addressing the entire body as a whole, not just a limited area – that is the method of corrective exercise, and it works. Agilis Fitness has worked with clients in the past and currently with the following conditions: extreme thoracic kyphosis (rounded upper back) upper cross syndrome, lower cross syndrome, low back issues (slipped disk, fractured vertebrae, scoliosis, herniated disk, vertebral compression, flat back, sway back), shoulder injuries (rotator cuff, impingement), patients on dialysis, hepatitis C, fibromyalgia, eating disorders, hip replacements, multiple surgeries on feet, Parkinson’s disease, ototoxicity and vestibular damage, generalized joint pain, balance impairment and cancer (symptoms from chemo therapy).